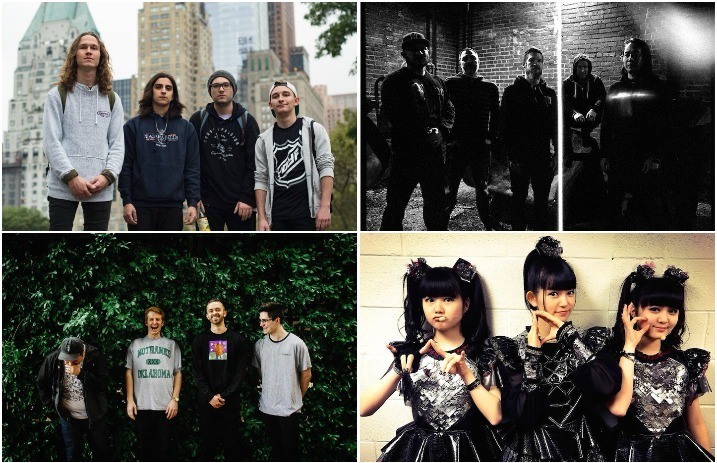 Catch BABYMETAL, Fossil Youth, Touché Amoré and SECT on tour—plus, congratulate Homesafe on their signing to Pure Noise. Check out the news you might have missed today below! 1. Homesafe announced their signing to Pure Noise Records. Plus, they announced that they’ve just started recording for their first full-length. 2. BABYMETAL confirmed they’ll be playing Rock am Ring and Rock im Park this year. The festivals will be taking place June 1-3. 3. Fossil Youth announced that they’ll be hitting the road in the Midwest and Canada next spring. Plus, they’ll be joined by Rarity and Unturned on select dates. 4. Touché Amoré are celebrating their tenth anniversary—and playing their 1,000th show—in February. Plus, La Dispute, Self Defense Family and Warm Thoughts will be opening on the special occasion. 5. SECT (featuring FOB’s Andy Hurley) and Die Young announced a short California tour. The select dates will be taking place next February. 6. Versus frontman Joe Taylor unveiled his emotionally-driven solo project.